Tue., Dec. 27, 2016, 10:31 a.m.
WICHITA, Kan. – U.S. farmers drained all available government agricultural loan money this past fiscal year to get through one of the worst agricultural downturns in recent years, but no one who qualifies for a farm loan will be denied in the next four months due to an unusual provision passed this month by Congress. 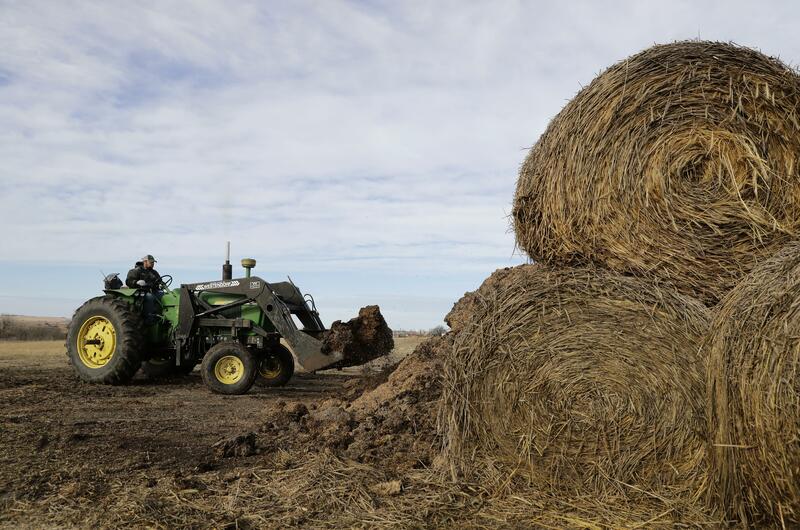 The budget patch gives the Agriculture Department’s Farm Service Agency authority to meet the spike in loan demand by using future funding, according to U.S. Sen. Jerry Moran, a Kansas Republican who chairs an agricultural appropriations panel. There is no limit to how much the USDA can lend through April 28 – a victory for farm groups who pressed Washington for the fix to avert a looming loan crisis. Already, corn and wheat prices have pushed farmers to the limit, and beef prices are hurting ranchers. They turned to lenders, leading the FSA to fall short $137 million short of needed direct and guaranteed loan funds in the fiscal year ending Sept. 30. When the money ran out, approved loans were funded in the current fiscal year, piling on to the demand for loans and raising the specter that FSA would again run out of money before spring – when most farmers need it the most. Operating loans for 2016 are coming due at a time of widespread downturn. Farmers in Georgia, the Carolinas and Alabama have gotten a double whammy of drought and flooding. Midwest states are reeling from a glut in global grain markets that has slashed crop prices, and cotton growers in Georgia and Texas also are suffering due to low prices. Consumer demand for milk is down. Cattle prices are falling. Not as many people are able to pay off their 2016 operating loans, and the next 60 to 90 days will be telling, said Steve Apodaca, vice president for the Washington, D.C.-based The American Bankers Association’s Center for Agricultural and Rural Banking. Most borrowers will be able to sustain themselves another year, and bankers will be able to help restructure their loans and add federal guarantees to commercial loans, Apodaca said. He is not expecting a repeat of the farm crisis of the 1980s, when land values tanked and interest rates were high. Matt Ubell and his two siblings took out an FSA loan this month to buy their parents’ cattle and crops farm in Wheaton, Kansas, but he says the agricultural economy “has us scared to death.” Their balance sheet was just above the break-even point to qualify for the loan. The 34-year-old farmer and his wife put in long hours to make ends meet for their four children. His wife is a cook and a nursing assistant. He works at a lumberyard and delivers liquid feed supplements for cattle. One measure of the farm economy is equity – the amount of debt compared to assets like land and machinery. The USDA’s Economic Research Service predicted last month U.S. farm equity would decline 3.1 percent in 2016 to $2.47 trillion – the second straight year of declines. Farm debt is expected to rise 5.2 percent to $375.4 billion in 2016. With such low commodity prices, Russell Boening said he is doing everything he can not to borrow more money than he absolutely needs to operate his 7,500-acre family farm in south Texas because “that gets you further and further behind.” That includes delaying equipment purchases. The 57-year-old has farmed for 35 years, has hundreds of dairy and beef cattle and grows hay, corn, cotton, wheat and watermelons to diversify his income. Also the president of the Texas Farm Bureau, Boening knows he’s in a better spot than younger farmers like Ubell. This year’s bountiful yields and low interest rates on loans helped many growers. But many commercial lenders are now demanding farmers whose operations are under stress to get government guarantees that any money lent for next year’s crops will be repaid. Published: Dec. 27, 2016, 10:31 a.m.